The specification for Mezcalero is that it be distilled at least 50% from wild or semi-wild agaves; in actuality, most of them are 100% from such agaves. The agave is an unusually complex, flavorful, and interesting form of life. It produces correspondingly complex distillation material, which is why it makes such a difference that Oaxacan artisan producers include the solids (unlike tequila). 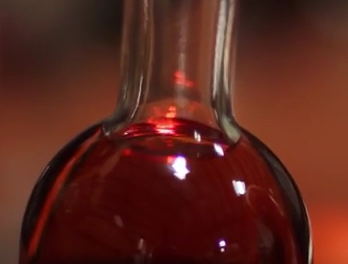 Artisan mezcal distillers really know their material: it grows nearby. 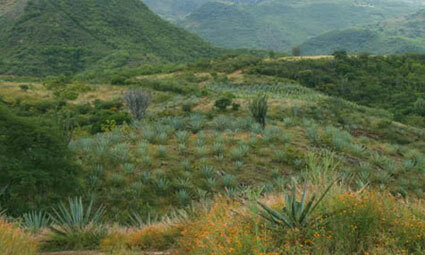 Wild and semi-wild agaves produce mezcals with singular intensity. The flavors – there’s a surprisingly wide range – tend to be both distinct and complex. 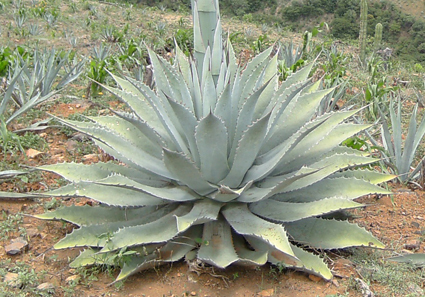 To date (2016), Mezcalero has used the following agaves: Arroqueño (agave Americana var. Oaxaqueña), Bicuishe and Madrecuishe (separate varieties of agave Karwinskii), Papalote (agave Cupreata), Dobadán (agave Mexicana), Sierra Negra (agave Americana), Tepeztate (agave Marmorata), and Tobalá (agave Potatorum).